Popcorn and other popped grains can be very healthy – unless butter and salt drown all the beneficial nutrients out. 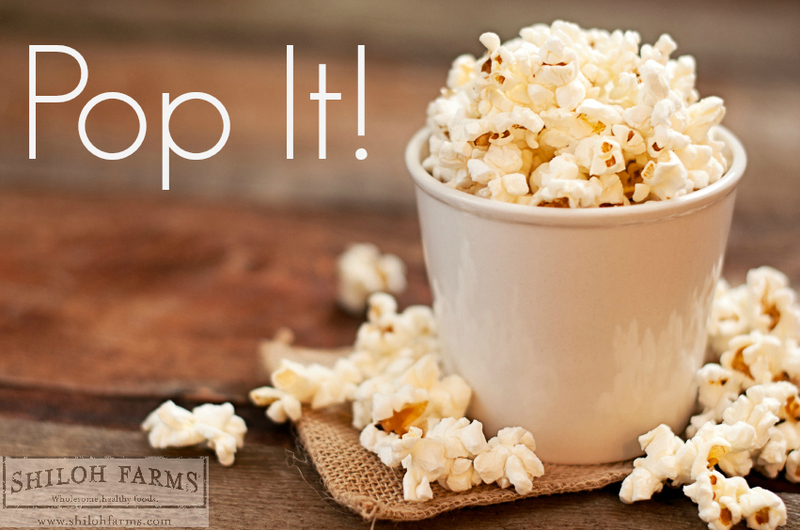 Popped corn and grains offer tons of fiber, antioxidants and B-vitamins, and a cup of popped corn is only 31 calories! We love popping corn and sorghum best. So take popcorn back as a healthy snack and try some of these creative ideas for flavoring and toppings. Extra Virgin Coconut Oil: This cholesterol-free alternative contains fats that help you metabolize other fats more effectively and help your body fight viruses and bacteria. Try cooking one tablespoon of popcorn in two teaspoons of coconut oil. Himalayan Pink Salt has a multitude of nutritional benefits that aren’t found in regular table salt or sea salt. Himalayan Pink Salt is loaded with essential minerals and trace elements that help balance electrolytes, support proper nutrient absorption, eliminate toxins, balances the body’s pH, normalize blood pressure, and increase circulation and conductivity. “Kettle” Corn: Substitute white sugar with Organic Date Sugar. Date sugar isn’t really a sugar at all-it’s made from ground, dehydrated dates so it contains all the vitamins, minerals and fiber found in the date fruit. To use this type of sugar to flavor popped grains, heat oil and add one to two teaspoons of sugar for each tablespoon of corn or grains you will add. Let the sugar melt before adding kernels. Shake the pot around to coat all each piece. Spice it up! Try adding crushed coriander and a pinch of cayenne. This will make your popped corn or grains so flavorful, you definitely won’t need salt! It’s so cheesy! Add popped corn or grains to a zip-lock bag and coat with nutritional yeast – it tastes cheesy and salty and it contains B-vitamins and essential amino acids. You can also add cumin and cayenne to spice up the flavor. The healthy-topping possibilities are endless, so let these few ideas kick-start your flavor creations! Do you have any unique popcorn toppings?